Jesus was a liberal. That’s the contention of the Rev. Scotty McLennan - and it’s the title of his new book. 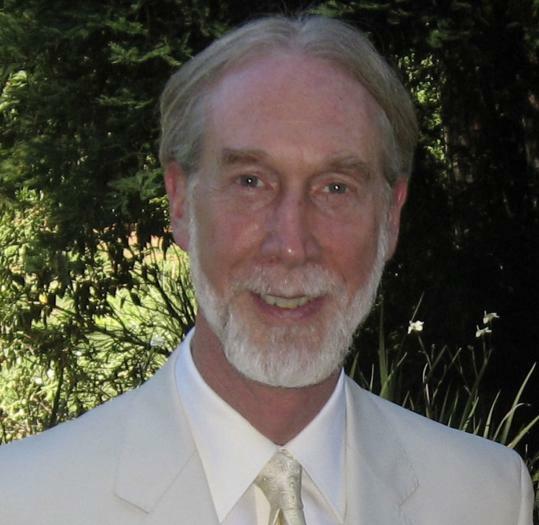 McLennan, dean for religious life at Stanford University, arrived in Boston in 1970 to attend Harvard Divinity and Law schools. He stayed on, serving as chaplain at Tufts University until 2000. Though he was raised Presbyterian, he joined the Unitarian Universalist Church while at Yale. His college roommate, Garry Trudeau, based his “Doonesbury’’ character, the Rev. Scot Sloan, in part on McLennan, down to the red hair and beard. Q. Your new book is titled “Jesus Was a Liberal: Reclaiming Christianity for All.’’ How do you know? A. What I mean by liberal is that Jesus represented a progressive vision - first of all, tolerance. He was wide open to people, and not only of the same religious position. He welcomed to his table “sinners’’ like prostitutes, the socially excluded like lepers and tax-collectors, and foreigners like Roman soldiers. Jesus always challenged the religious and secular authority of his day in the name of justice and love. Instead of an eye for an eye, he asked people to turn the other cheek. Finally, he used methods of rationality and logic and not just blind faith to back his claims. In fact, he was not a biblical literalist. He worked on the Sabbath healing people, and he encouraged his disciples to glean for food. When asked if he violated a commandment, he said that the Sabbath was made for the man, not man for the Sabbath. He always looked for the most humane thing to do rather than the doctrinal. Q. What is a liberal Christian, to you? A. Liberal Christians follow in Jesus’ footsteps and try to be committed to Jesus as their lord and savior; by that, I mean their teacher, the person who gives primary meaning and purpose to their lives. But we do so in a way that takes seriously modern science and logic and rationality. We don’t read the Bible literally, and we see love as the primary Christian value, whereas conservatives say truth is the primary value. We have a notion of there being many roads up the spiritual mountain; Christianity is just one of them. Equality is very important to us, in terms of women and men playing an equal role in the church, all of us being children of the same God. Q. If you could ask Jesus a question, what would it be? A. How long will it take for love to prevail in the world? It’s always a struggle between the forces of love and hate, darkness and light. There’s a lot of bad religion out there. The answer to bad religion is not no religion; it’s good religion, religion that is committed to love and not to hate, to bringing people together, not dividing them, and to creating dialogue, not argument.